Located across from the main lodge, this suite has a separate, private entrance on the creek side. Including a private patio with chairs and a wonderful view of the creek. 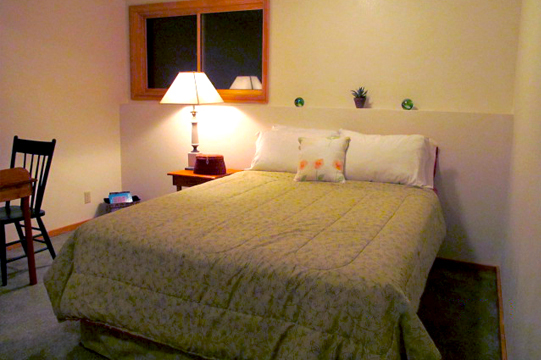 The suite itself consists of two bedrooms complete with queen beds. There is also a sitting room with direct TV, and includes a futon for sleeping extra. 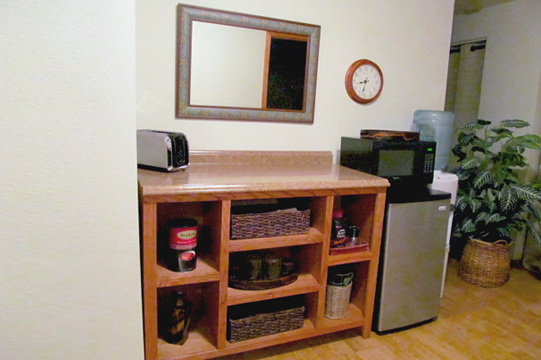 There is an eating area complete with fridge, microwave and coffeemaker. There is also a large shared bathroom. 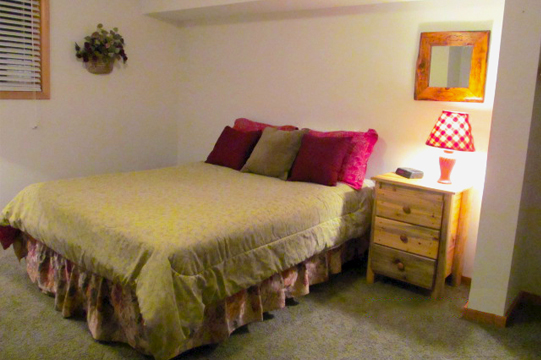 This suite is perfect for two couples looking for a weekend get-a-way or families with children. 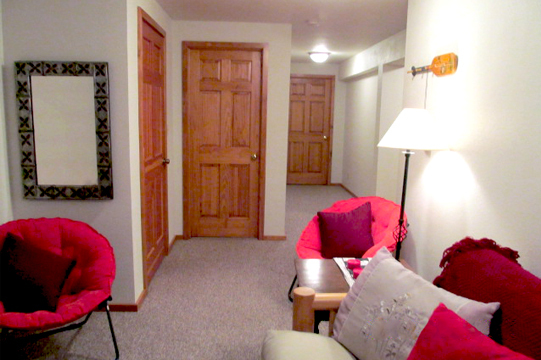 All the charm of the lodge plus all of the benefits of a private unit! $275 per night. * 20% cancellation fee 4 weeks prior to the stay. Or 50% cancellation fee 2 weeks prior to the stay.